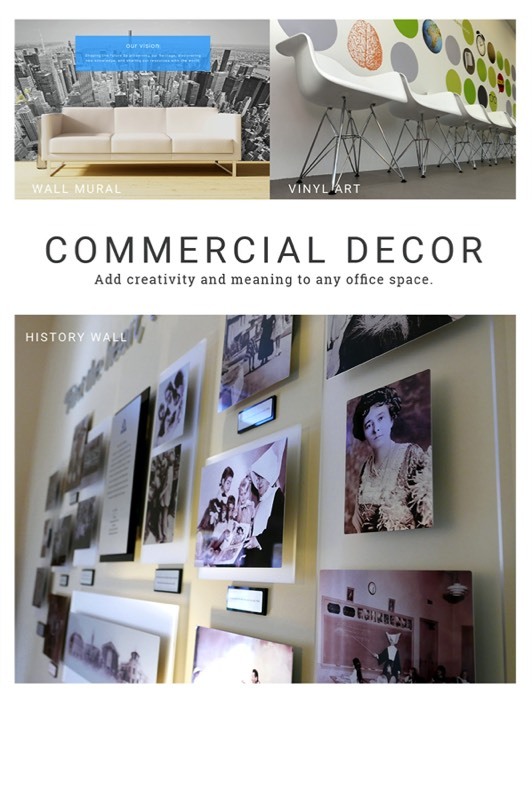 Your office decor speaks volumes about your business! What are your walls saying? The most productive offices typically balance the comforts of home with a professional business image. But does your office live up to this goal? Your office is your home away from home. It's the place where you fight for market share, pursue new business opportunities, and realize your dreams. It's also, for the better or worse, part of the public face of your company. As a result, the most productive offices typically balance the comforts of home with a professional business image. But does your office live up to this goal? Chances are it could use some fine-tuning or perhaps even a completely new approach - achieving your objectives without busting your budget. Let's collaborate and create a conversation piece for your business space. For a free consultation contact us at 760.632.1790.